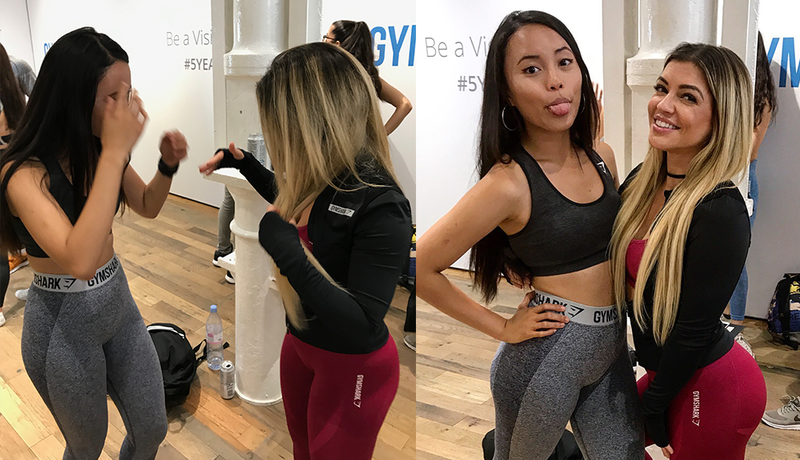 It’s been about two weeks since the #GymsharkLDN pop-up store event in London and I am still buzzing from the energy and excitement I felt that day! 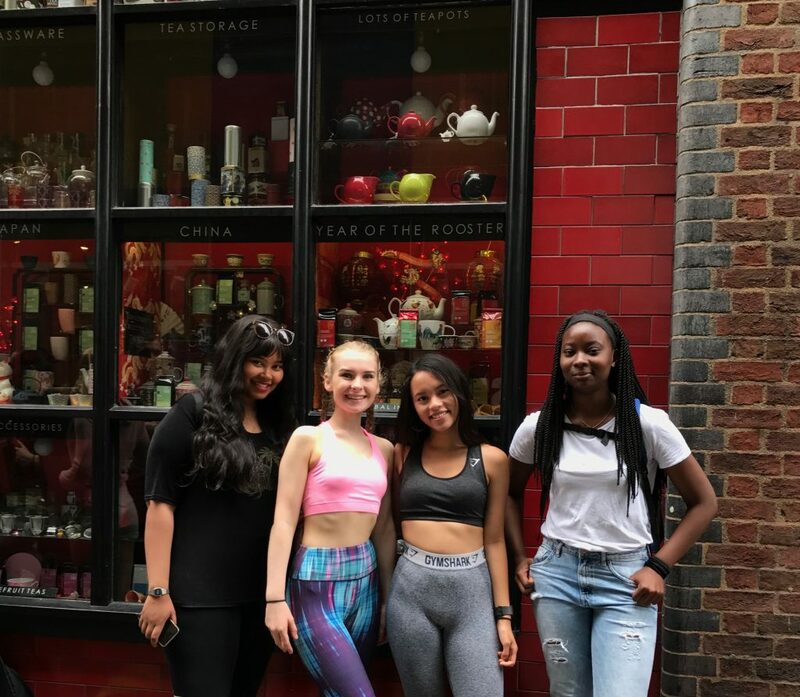 I went down to London on the second Friday of this month to visit Hamdah who is now interning in the big city over summer! I may start sounding like a broken record now but I am so proud of her achievements this year, she has worked incredibly hard to secure a placement and last year I was in the same boat, struggling to secure one so I know how it feels! Well done once again Hamdah, you’re amazing. With Hamdah interning in London, I had an excuse to go down a bit more. 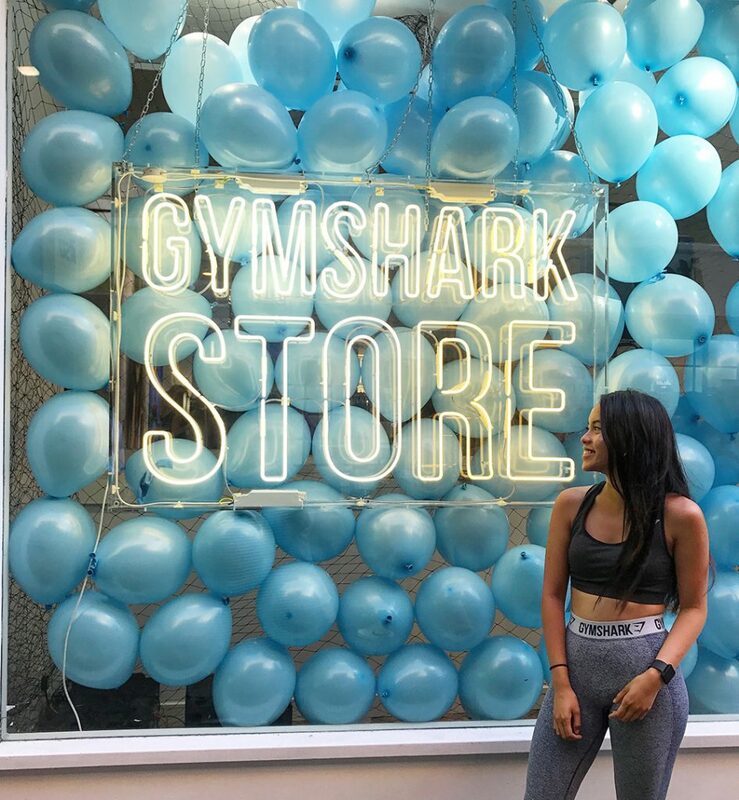 Conveniently, Gymshark had just announced that to celebrate their 5th year anniversary, they were going to open up a pop-up shop in London the weekend I had planned to meet Hamdah. For those who don’t know Gymshark is a clothing brand that I have not stopped raving on about since January this year. When I first started working out, I used to just purchase cheap gym clothing that would rip after a few uses or would be completely transparent. Ugh. So I decided to invest in much more quality clothing, it started with Victoria Secret PINK Sports Bras and leggings but I noticed that this was a hit and miss. I then discovered Gymshark, I went for the plunge and now you all know that I am clearly obsessed. That quality though. I have since then just been buying from them (when I can – they sell out very quickly!) and became a fan of not only their clothes but the athletes who modelled their clothes. My favourite YouTuber, Whitney Simmons, became an athlete for them around the same time I became obsessed with their clothing line – so this only heightened my love for them. When I heard that they were in London, I knew I just had to go. BUT THESE GALS GOT IT. I can confirm she was just as awesome IRL as she is online. 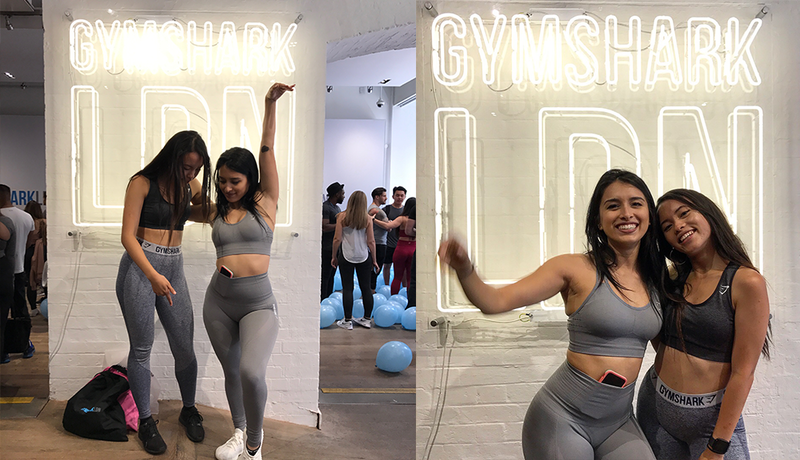 The Gymshark event looks amazing. It’s so great that you got to spend the day around such positive people. I bet it was great to talk to people who had the same interests and lifestyle as you! The athletes seem really nice, and I love the photos you took together. And it’s so cute that you made those videos for Carly. I bet she was thrilled. I love what you wore to the event! Their clothes do look fantastic and you can tell they’re really good quality. If I ever get into exercise I’ll definitely be checking out their website for workout clothes. I can’t believe you made friends with people over your Gymshark clothes. That is amazing! Glad you had an amazing time and got to meet up with Chynna and Mutay again! It’s cool that you went out to a Gymshark event! Totally fits you sine you’re all about their sportswear ;). I haven’t tried out any of the $$$ sportswear yet. I started buying VS PINK’s ultimate sports bra and it’s been super supportive. Can’t saw the same about the el cheapo Forever 21’s though. Shoutout to Hamdah for being the real MVP with the camera ;). So cool that you, Hamdah, Chynna, and Mutay are the UK squad! Hope you all will continue to hang out :)! I’m so glad you had a good weekend in London and met some amazing people. Since I’m a broke college student, I usually don’t have enough money to invest in quality work out gear. I usually tend to buy whatever’s on sale at Walmart. Hopefully when I graduate, I’ll be able to afford nice gear. But I’m so glad you were able to meet up with some friends and have a good time! That looks like a great event! I’m glad you were able to go and meet both like-mind people and also your favorite Youtuber! I know the feeling of talking with people who just “get” the stuff you’re into. I’m the same way when I meet other photographers, and we can geek out on stuff, haha. It’s refreshing when people understand the terms and can relate! That’s great that you enjoyed it so much and made new friends! Also super cool that you met up with Chynna and Mutay! Yay for blogger meet-ups! GURRRRRRL YOU ARE *INSERT FIRE EMOJI*!!! GymShark should just make you their model/ambassador or something considering how much you really love their stuff. Glad you had a great time at the pop-up shop and that you got to meet some people you look up to 🙂 That’s always such a great feeling! 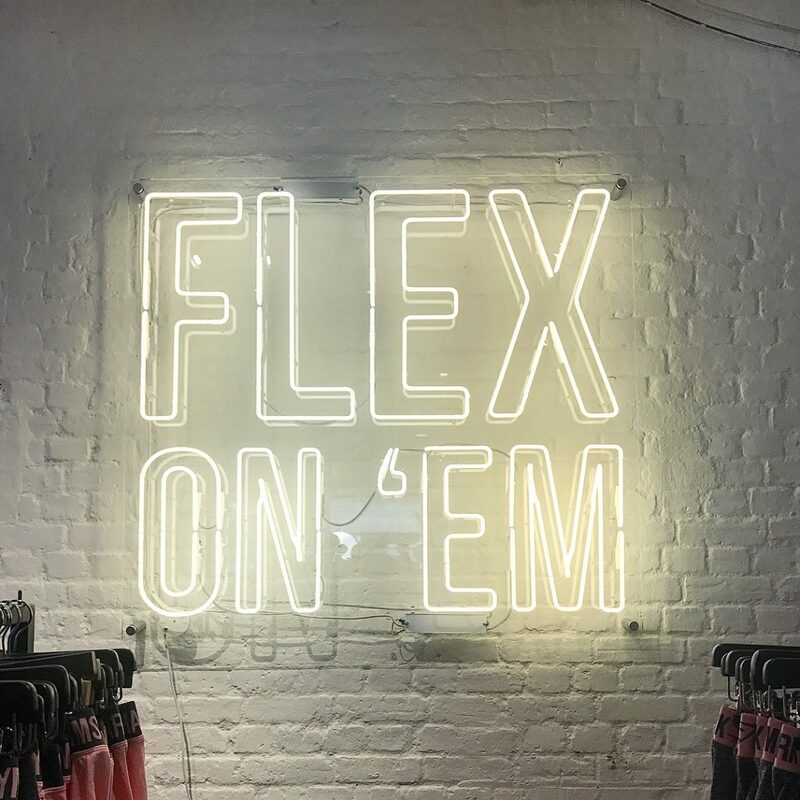 Hopefully they have another pop-up shop soon! 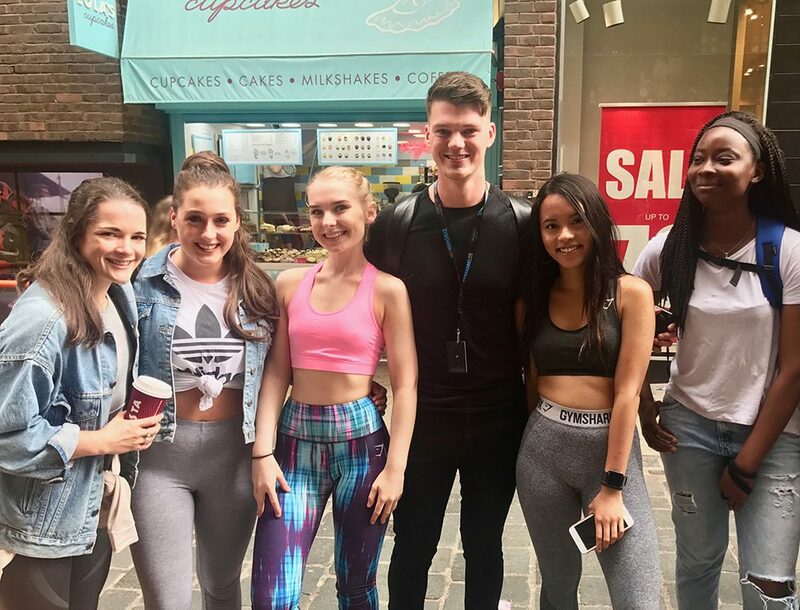 DO YOU KNOW HOW CUTE YOU WERE RUNNING AROUND LONDON IN YOUR GYMSHARK GEAR?! HELLA F-ING CUTE, GURL. I love youuuuu and I’m so happy I got to see you on this day. COME LIVE IN LONDON NOW WITH HAMDAH PLS.